It is true that I am not a big fan of massive multiplayer online RPGs (MMORPGs). I am a big fan of computer RPG games though. How come, you might ask. It probably has to do with what I love about a good RPG such as Baldur's gate, Fallout, Final Fantasy, or Oblivion that I simply cannot find in an MMO. I like a good story and I like this story to be told in steps and to be firm. I like the character development to affect the gameplay and my part in the story. I like non-repetitive meaningful quests that feel truly epic. I like the character stats to say a little bit more about my character than be just numbers. I like being able to play the game at my own pace. All these are just things I simply cannot find in MMORPGs. MMORPGs in their current form all they represent, is leveling and gear hunting. There might be a story but the game does not let you see it. There might be quests but all feel, and essentially are, the same(bring me 10 of x items and kill 5 of y monsters). There might be character development but the whole experience is ruined by talking to a fellow player that disregards your selection of skills or a friend that pushes you to level up to to go grind together. It is all about leveling. Ok, there might be a cooperative aspect that is enjoyable but even that can become frustrating. Your guild will have strict rules about raiding and you will be forced to play at other players' pace. If you just want to get in on your own and go do a group quest or a dungeon you will have to wait for hours only to find out that you do not like the people you play with. This was World of Warcraft for me. I got bored, I got fed up with it. I am not saying that there are no MMORPG that I like. There are and there are some that do not fall into the aforementioned “mistakes”. I guess though that these “mistakes” are simply game mechanics that are used to get players addicted. The majority will go into a frenzy to get one more level or one more epic item. 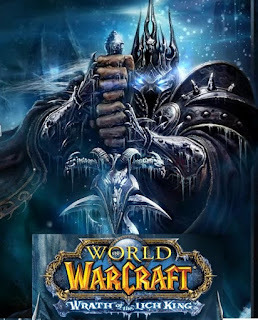 In less than two weeks WoW's latest expansion, Wrath of the Lich King, is coming out and I simply do not care. I do not care that I will be able to do the same sort of quests in new environments just to get 10 more levels and start the, get better gear, game all over again. Many friends of mine are pretty excited by the expansion coming out but then again they love all the things I hate about this game. I guess it is just a matter of opinion.